Most people who run understand that running can be hard on the body. It is weight bearing activity, and so all the lower limb joints and muscles experience some degree of loading with each stride as you land. Muscles are required to work eccentrically(lengthening as they contract to control impact), and then work concentrically(shortening as they contract) to power off the ground as they propel you forward. This loads both the muscle and tendon units. Joints are subject to weight bearing loads via gravity, and must absorb and transmit ground reaction forces, ie as you push off the ground the ground pushes back on you(Newton’s 3rd law of motion). I will talk specifically about extrinsic factors here, and my next post will be on intrinsic factors. It makes sense that the more kilometres/miles you run, the more chance you have of getting injured. This is because running causes an accumulated strain on the body, and those stressors need to be managed. Volume increases should be incorporated gradually over time, especially if you are starting out. Recovery days, where you rest or cross-train(cycle, swim, strength train) are vital in allowing your body to adapt to changes in volume. Good quality sleep and diet are also important factors in allowing your body to recover and adapt. These include duration, frequency, intensity and the surface you run on. This will depend on what you are training for and how experienced you are as a runner. In general, sudden changes in duration, frequency or intensity will all increase the risk of injury. Interval/threshold training sessions should not exceed 45min excluding warm up/cool down, and these should not exceed twice per week. Again, it’s important to have adequate recovery between you harder sessions, and do not perform hard sessions back to back. Tip: The total volume of your harder sessions(threshold, interval and repetition) should not exceed about 25-30% of your total weekly volume. Mix up your running surfaces as much as you can, running at least half of your miles on softer surfaces. The shoes you wear are very important in your ability to stave off injury. This may seem obvious, but it’s vital you run in shoes designed for running, as opposed to cross trainers or more casual sneakers, as they have more support and cushioning for transmitting ground reaction forces. It is also good to rotate your running shoes regularly, ie have at least 2 pairs which you can alternate on different days. Make sure you change over your shoes as they are required, and the volume you get for each pair will vary with brands. I have been running in Asics for most of my running years, and I get roughly 700-800kms in a pair of Kayanos. Check with the manufacturer or retailer if you are unsure. Sometimes you can tell when your runners are getting old by the way your legs feel after a run…. 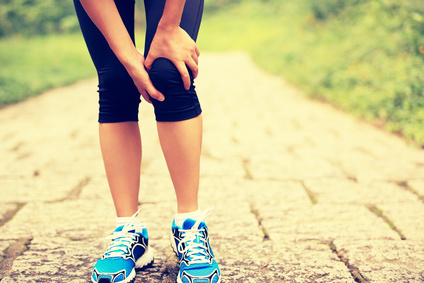 undue muscle or joint soreness may mean the absorption characteristics are wearing thin. It is also important to ensure the motion control profile of the shoe is appropriate for your foot. Some retailers offer video or force plate analysis, but my opinion is that technical analysis of this type is best left to health professionals, such as Podiatrists or Physiotherapists using force plate analysis. About 80% of the population are overpronators, and up to 5% are supinators, so only 15% of runners have a neutral foot. Having the incorrect motion control for your foot will increase your injury risk. Tip: Have at least 2 pairs of running shoes to rotate. Do not run in shoes passed their use by date, and have your foot biomechanics tested by a health professional before choosing the right shoe. Enjoy your running… I look forward to posting the next instalment of “How to prevent running injuries”.